As we wrap-up the Labor Day weekend, it gives us an opportunity to reflect upon the many benefits that we enjoy by being in a Union. Whatever your level of commitment or your views regarding organized labor, it is an unchallengeable fact that our current employers would not be allowing you the quality of life you currently enjoy without union representation. The "Delta Airlines" of the world are only paying their technicians and offering the benefits and wages they do because they know that their employees would overwhelmingly vote to join a union if they did not. Without the extensive time, energy, and finances invested in sustaining the labor movement, although depressed by ever-more union jobs leaving the US and an apathetic population, there would be a race to the bottom for benefits and wages in our industry should the movement fail. Quite frankly, the greed of the shareholders and senior leadership we currently work for would have all of our jobs farmed-out to the lowest bidder in whatever country was cheapest if it were not for a unionized workforce. If it wasn't for your Union and its representatives continuously working to uphold your Collective Bargaining Agreement, these companies would stop at nothing to cut costs at the peril of your family's livelihoods. With this in mind, it is very important to be aware of the potential negative effects stemming from interactions with management regarding contractual issues and negotiations outside of their proper forum. We have all experienced the company propaganda machine whether in memos sent to our Company email accounts, visits to the hangar and line, to daily crew meetings with the supervisor. Perhaps you have even been recently invited to a dinner with management, where the Company may try to get individuals to share their concerns with negotiations and possibly undermine your Negotiating Committee. The carrier's senior leadership, under the disguise of routine station visits, continue to deliver the company propaganda message to the membership when they visit. The propaganda is being delivered to full crews, pockets of members, and one-on-one with individuals. It is essential, especially during contract negotiations, to be aware of this technique that is being employed by management to gain any advantage to aid them in enhancing their profits while making you feel comfortable giving up yours. Remember, if a message coming from management regarding contractual issues or negotiations doesn't pass the "smell test," there's a good chance it's rotten. Be sure to convey this message to your AMFA representatives so that they can respond and clarify any uncertainty. 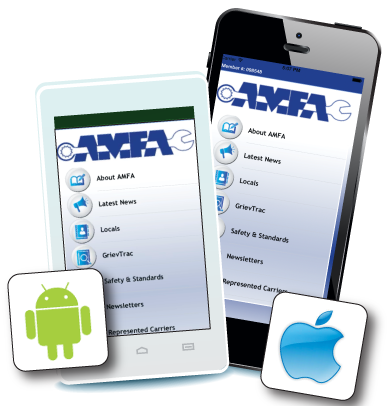 There is only one truth, and AMFA is the ONLY source for it regarding contractual enforcement and negotiations. Remember to tell management that in all union matters, "AMFA speaks for me!" Please continue to be engaged and informed with current issues regarding your Local and AMFA National. 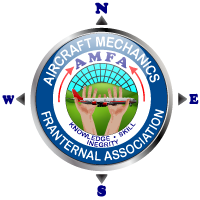 There are many facets to our Association that are not seen on a daily basis but are nonetheless important. With Local elections on the horizon, all members have the right and responsibility to become involved. Ask questions and attend Local General Membership Meetings to be assured the message coming from your representatives is genuine. Thank you for your continued support and solidarity.